Driving lessons in Knottingley, Normanton, Ackworth, Featherstone, Streethouse, Darrington, Pontefract, Kirk Smeaton, Airedale, Castleford, Glasshoughton, Brotherton, Byram, Cridling Stubbs, Kellingley, Fairburn, Hambleton, Blackpool, Bispham, Layton, Marton, Staining, Anchorsholme, Thornton-Cleveleys, Poulton le Fylde, Knott-End-on-Sea, Preesall, Singleton, Lythm St Annes and surrounding areas. I am an Official register of Driving Instructor Training (ORDIT) registered Tutor for parts 1, 2 & 3 of the ADI qualification process. 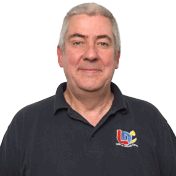 I qualified as a Driving Instructor in 1989 and have been with LDC since 1991 joining initially as an instructor and since then have performed many roles within the company. I am currently involved in delivering induction training to all new LDC instructors and run the continued professional development (CPD) courses for all existing LDC instructors. I am also totally committed to my own CPD as I feel it is important to update skills and knowledge. 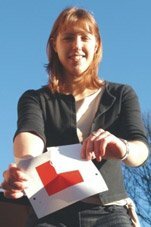 I am a qualified Teacher, Assessor, Verifier and Coach, I also hold the RoSPA Gold award and the RoSPA Diploma in Advanced driving instruction as well as being a registered DVSA Fleet Trainer. I can normally cover Knottingley, Normanton, Ackworth, Featherstone, Streethouse, Darrington, Pontefract, Kirk Smeaton, Airedale, Castleford, Glasshoughton, Brotherton, Byram, Cridling Stubbs, Kellingley, Fairburn, Hambleton, Blackpool, Bispham, Layton, Marton, Staining, Anchorsholme, Thornton cleveleys, Poulton le Fylde, Knott-End-on-Sea, Preesall, Singleton, Lythm St Annes and surrounding areas. I operate a "No Quibble" Money Back Guarantee, if you feel you have not received the training the way it should have been delivered or you are unhappy with the level of customer service then you will receive those lessons free of charge. So if you are interested in taking driving lessons or an intensive driving crash course with a patient, friendly driving instructor in Knottingley, Normanton, Ackworth, Featherstone, Streethouse, Darrington, Pontefract, Kirk Smeaton, Airedale, Castleford, Glasshoughton, Brotherton, Byram, Cridling Stubbs, Kellingley, Fairburn, Hambleton, Blackpool, Bispham, Layton, Marton, Staining, Anchorsholme, Thornton cleveleys, Poulton le Fylde, Knott-End-on-Sea, Preesall, Singleton, Lythm St Annes and the surrounding areas please contact me.